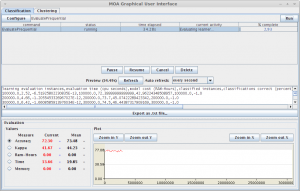 MOA is a framework for data stream mining. It includes a collection of machine learning algorithms (classification, regression, and clustering) and tools for evaluation. 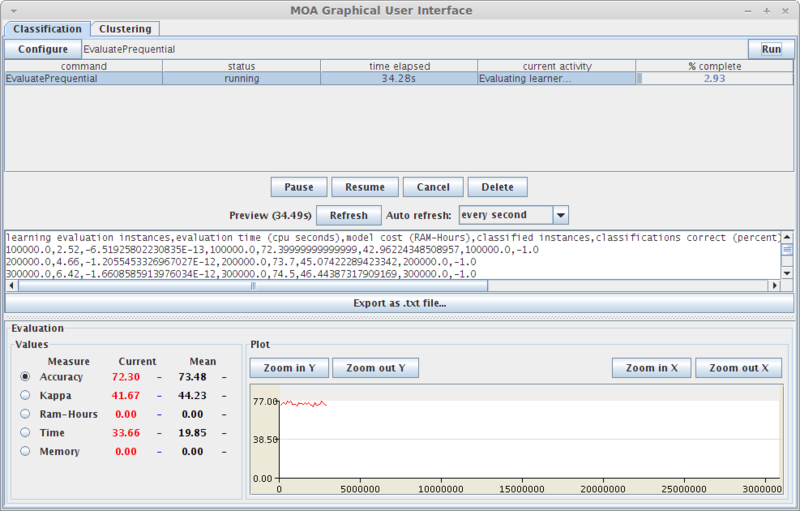 Related to the WEKA project, MOA is also written in Java, while scaling to more demanding problems. MOA is released under GPL v3. I’ve been involved in the WEKA integration and also the mavenization.